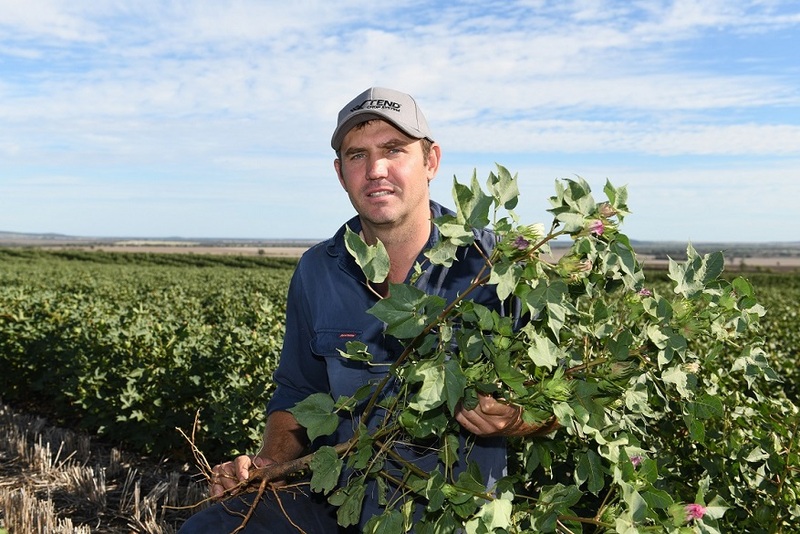 THE introduction of cotton as a dryland summer crop option has helped control Johnson grass on a farm in north west New South Wales. Grant Lowien, who farms with brother Andrew and mother Karen east of Bellata near Moree, said about two-thirds of the country each year was planted to winter crops including wheat, chickpeas, canola, faba beans and barley. The summer crop has traditionally been sorghum but weed issues have made it a challenging option in recent years. “Plantshield has definitely got some goodies in it because it knocks down a lot of hard to kill weeds. The main reason we use it is to clean everything up,” Mr Lowien said. “We’ve been playing around with different row spacings to see what our best option is for growing it on this shallower country,” Mr Lowien said. The Lowien’s cotton is predominantly grown on 1.5 metre solid rows and they are trialling single skip 1.5 metre configurations.